Since early March, iOS users have been able to enjoy the most popular video game sweeping the rounds. Android users have been left envious as they wait for a "few months," the only vague release date given by Epic Games. In the meantime, there are a few ways we can still satisfy our urge to play. After the news that the Android version of Fortnite will likely be exclusive to the Galaxy Note 9 for a month, it's looking like most of us won't be able to play until September at the earliest. Somehow, a few months has turned into half a year now. There are a few games on the Play Store that offer a similar experience to the upcoming Android version of Fortnite Battle Royale that are currently out now. While none of the solutions listed below are a perfect replacement, they will help you get your fingers ready as you wait for the official version to come out. I expect you might have seen this coming, but the mobile version game that put the battle royale genre on the map is already available on the Play Store. While the game wasn't created by the original developers (PUBG Corporation), it was handled with care by Tencent, who entered a deal with PUBG Corporation to bring the game to the mobile platforms. Tencent Games is also better versed in the mobile space, as demonstrated by their widely successful Arena of Valor. 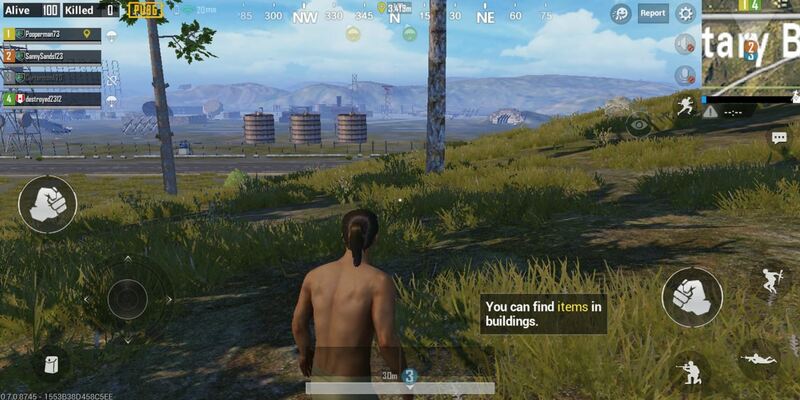 Unlike Fortnite, PUBG Mobile offers the ability to use either third-person view or first-person view. There are more weapons that borrow their style and names from real-world counterparts. There's also a more realistic visual look compared to Fortnite's more cartoony look. Additionally, PUBG Mobile lets you configure the graphics settings and frame rate on your device to get the best experience. Trust me when I say there are a lot more differences between PUBG Mobile and Fortnite, but if you want a game with an almost identical gameplay experience, PUBG Mobile is your best bet. Let me get this out of the way: Battlelands Royale copies a lot of Fortnite Battle Royale. 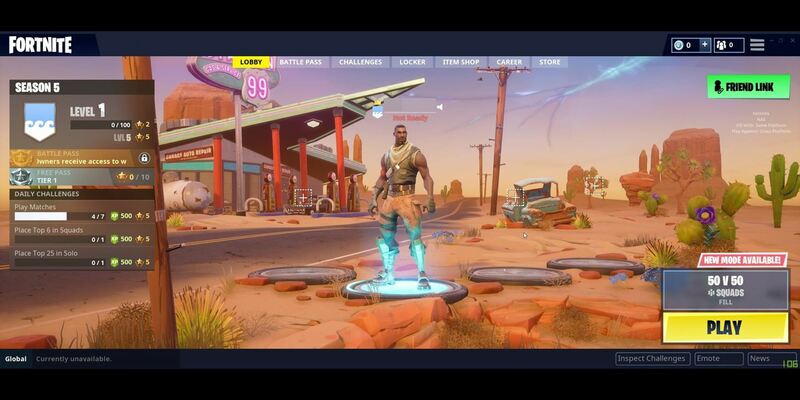 The familiar layout of the lobby, its use of a pass for additional content (which is also called Battle Pass), and its in-game currency (called Battle Bucks) are some of the ways it blatantly rips off Fortnite Battle Royale. But there's one major difference between the two games — Battlelands Royale uses an overhead view. 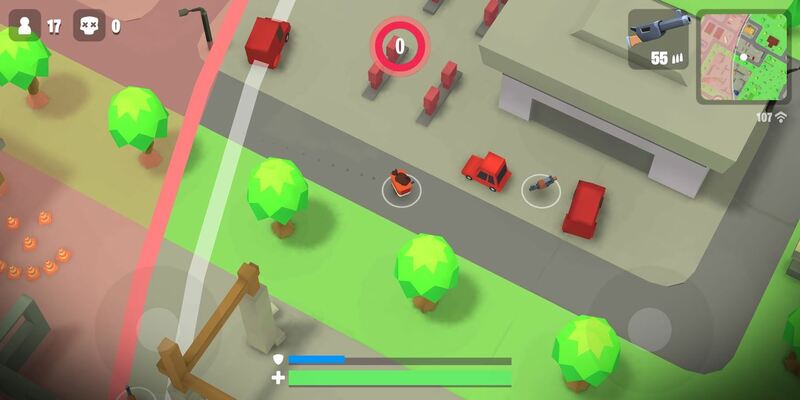 Reminiscent of the camera view in GTA: Chinatown Wars, Battlelands Royale places the camera above, radically changing how the game is played. With this camera angle, Futureplay had to make some changes to gameplay. First, parachuting is conducted automatically. You pick the location, then you will parachute to that area, with control only returning a few feet above the ground. Second, picking up weapons is automatic and based on a timer. Stand over the weapon and a progress bar will turn green. Once it's filled, you will have collected the weapon. When you pick up the weapon, you will notice that shooting is handled differently as well. Similar to old Contra games, you select and hold in the direction you want to fire, then a line will appear designating both the direction and distance of the bullets. Third, there is no way to hold more than one weapon. Instead, when you move over to a new weapon, you switch to it and lose the old weapon for good. While the gameplay is a bit different, it's certainly similar enough to Fortnite and will at least hold you off for the time being. If you don't care for a substitute, you can play the actual game on your phone. Using the app Steam Link, you can connect your phone to your computer and stream the game onto your phone. However, this method does require a bit of work since Fortnite isn't on the Steam Library. You'll need to download the latest beta version of Steam Link on your phone and install the Steam app on your computer (either Windows or macOS). With Steam open on your computer, click "Add a Game" in the bottom-left corner, then choose "Add a Non-Steam Game" from the menu. Assuming you already have Fortnite installed on your computer, you should see Epic Games Launcher. This is the library which contains Fortnite, which needs to be added to your Steam library. With Fortnite Battle Royale added, make sure your phone is on the same local network as your computer (preferably, your computer should be on using Ethernet for the best connection). Follow the instructions in the Steam Link Beta app and connect your phone to your computer. Once connected, select "Start Playing" to begin the link. 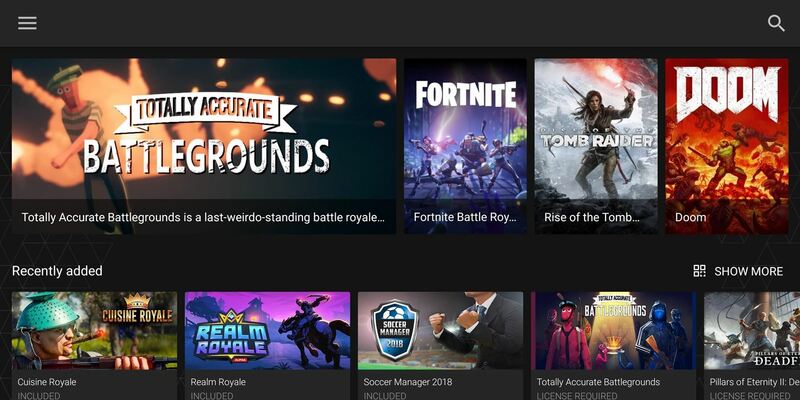 Select "Library" and locate Epic Games Launcher. Here is where you'll find Fortnite, which you can select to begin playing. I would strongly recommend using a controller. You can check this list to see if your controller of choice supports Steam Link. Please note that because it isn't optimized for Steam Link, Fortnite's default controls aren't the greatest and should be changed in the game's settings for the best experience. Additionally, this method does require you to be at the same location as your computer, as it mirrors your desktop's screen onto your phone. The performance of the game is completely dependent on your computer, so while you can run this using an old laptop, for the best experience, use a gaming PC. There is another solution for those wanting to play the actual game (at least the PC version) on their Android device. 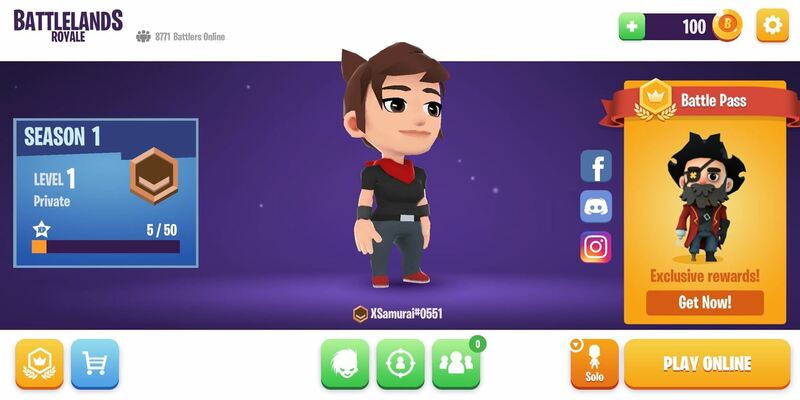 Vortex Cloud Gaming is a cloud service that lets you stream the game from the app's servers to your Chrome browser or Android device. Since it streams the game, you can run it either on your Wi-Fi network or cellular data. We would recommend sticking with Wi-Fi as latency will become a problem on LTE. There is no installation or downloading needed to play game since the entirety of the game is run from their servers. Instead, once you have the app, you can select the game you want and start enjoying. There is a $9.99 monthly subscription, and there is no free trial. However, we would recommend that if you're interested, run the app's ping test on your network before signing up to make sure you have strong enough connection and minimal latency. Each one of these methods will bring the addictive battle royale experience to your Android device. With rumors indicating Fortnite Battle Royale might not be available at least until September for all Android devices, we're hoping these methods will make the wait easier.